DINO Passenger Seats There are 4 products. Will fit the new models from the following range: Speedy BF1, Junior Hot Rod and Junior Cross Max user weight: 25kgs This accessory is a special order with a delivery time of between 2 to 3 weeks. 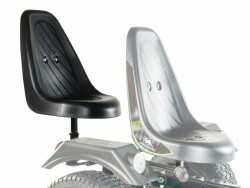 Now that you have your Dino go kart, why not add one of these DINO Passenger Seats as an extra. 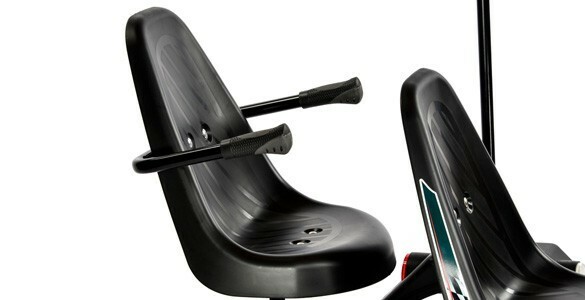 By adding one of these seats, it means that you can carry a friend around with you and you can both enjoy the fun given from using one of these fantastic go karts. 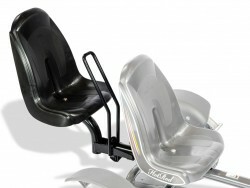 Now that you have your Dino go kart, why not start customising it by adding one of these DINO Passenger Seats - LARGE - with arm rest as an extra. 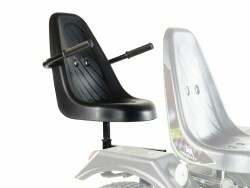 By adding one of these seats, it means that you can carry a friend around with you and you can both enjoy the fun given from using one of these fantastic go karts. 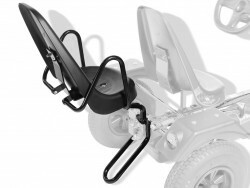 A new addition to the range of DINO passenger Seats is this DINO passenger Seat with Anti Tip Bar. To help prevent any backward tipping, this passenger seat has the extra tipping bar added. Max user weight: 25kgs This accessory is a special order with a delivery time of between 2 to 3 weeks.